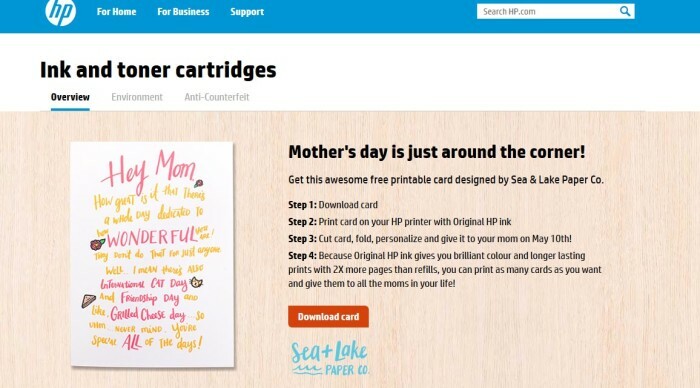 It is Mother’s Day once again and brands are kicking off their numerous Mother’s Day ad campaigns and promotions. Because nothing says Happy Mother’s Day than a suggestion that Momma is getting a little… chubby. Why not get her a nice slimming session and plan her diet? After you have adequately made your mother feel insecure with the slimming session, why not treat her to a bucket full of fried chicken and a greasy pizza slice and beefy burger? I don’t know about you, but growing up, my mother was highly against stuffing our faces with fast food. I doubt buying her an order of McD’s or KFC’s takeaway for the big day would sit well with her either. This Mother’s Day; spend a little, share a lot. This was sent to our deputy editor Elizabeth Low. Snarky isn’t it? 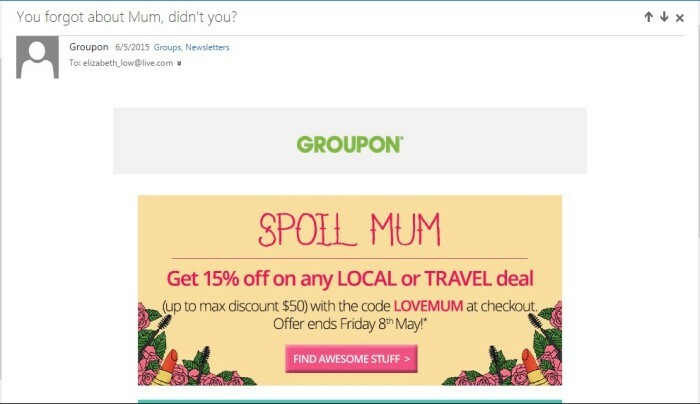 And no Groupon, we on the Marketing team did not forget our moms. I’m a little torn on this one. Also, I really don’t see myself printing “as many cards as [I] want [to] give them to all the moms in [my] life”. With all that being said and done, there were some really great ads we saw out there. And to all the moms out there, have a wonderful Mother’s Day! The retail giant celebrates 10 years enriching the lives of sari-sari store owners nationwide by dedicating a song performed by Ar.. Co-founder Shaun Quek has confirmed the impending closure to Marketing. ..
Raymond Siva, managing director at Edelman, shares his personal story on the importance of dogged tenacity in surviving the PR wor..
"I ain't some random girl. It was a REAL wedding. Don't steal our pic please." Yuna said, adding that the wedding was "100% Malays.. Following HTC's announcement on its long-term integrated strategy with the Change brand platform, a global campaign will be rolled..